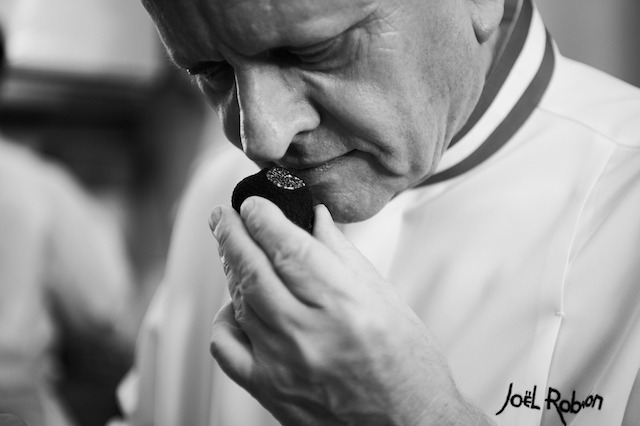 Le Figaro reports that chef Joël Robuchon died today after a battle with cancer. According to Reuters, the chef, who was 73, was in Geneva at the time. To many, Robuchon was more than a chef; he was the living embodiment of a grand French culinary master. His cooking was defined by luxury ingredients and eye-popping technique. However, his most famous dish was nevertheless his pommes purée — mashed potatoes, essentially, that were made impossibly smooth and elevated through Robuchon’s use of small fingerling potatoes and a quantity of butter that still seems astounding. Robuchon first rose to prominence in the ‘80s and ‘90s with his restaurant Jamin, which he dramatically abandoned in 1996. He said at the time that he was tired of traditional fine dining, and wanted to do something simpler. The result was his L’Atelier restaurant concept, which he went on to open all over the world. Robuchon was often called the world’s most Michelin-starred chef, a title that was due in no small part to the astounding number of restaurants he ran. Today, L’Atelier has outposts in Hong Kong, Montreal, Tokyo, Bangkok, and New York, among other places.